Here’s some inspiration for your Wednesday! 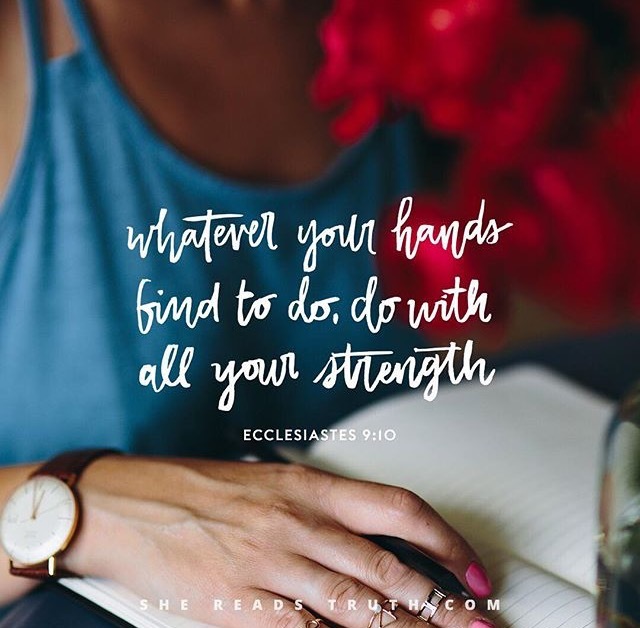 Even if your strength level is low this morning and you are feeling burdened, you can still put all of who you are into the tasks before you. I have been praying for all of your hearts, whether freshly broken or on their healing way. Even though my blogging has been less in these summer months, my prayers have not stopped for all of you. Keep sharing your stories with me. We are in this together, pouring whatever strength we have into the beauty of continued healing.